There is something so sweet about young love. It brings you back to a simpler time, when you thought you were in love with every single boy you had a crush on. There is also something so annoying about it. And To All The Boys I’ve Loved Before captured all of these facets. Half the time, I found myself back in high school, without a care in the world, aside from the next time I was going to see my crush. But the other half? I was frustrated out of my mind by the naivety of Lara Jean and the other characters that sounded much younger than their assigned ages. Don’t get me wrong, I truly enjoyed this fun, quick read! It was everything I wanted it to be! I just happened to find myself a tad bothered every once in a while. One thing that never, ever bothered me was the gorgeous cover! I love feminine and floral and soft and everything in between. And well, I LOVE PINK. 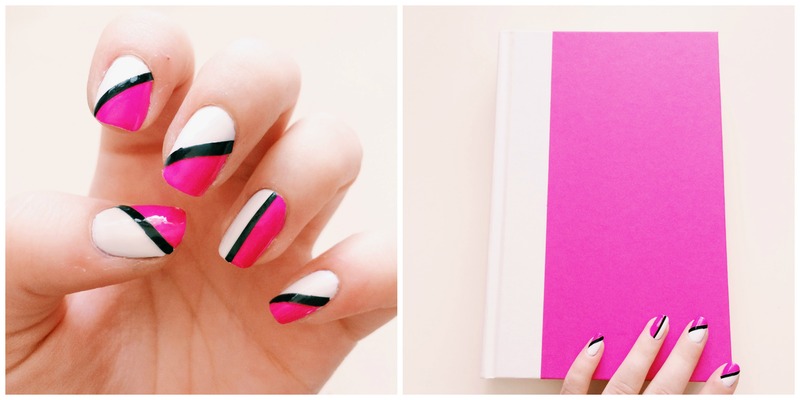 This made creating a cover-inspired manicure easy and hard. Easy because I had so many ideas running through my head, and hard because… I had so many ideas running through my head! Someday, I will not be able to go into my Julep Nail Polish collection and find the exact color I’m looking for to match my book. Today is not that day. 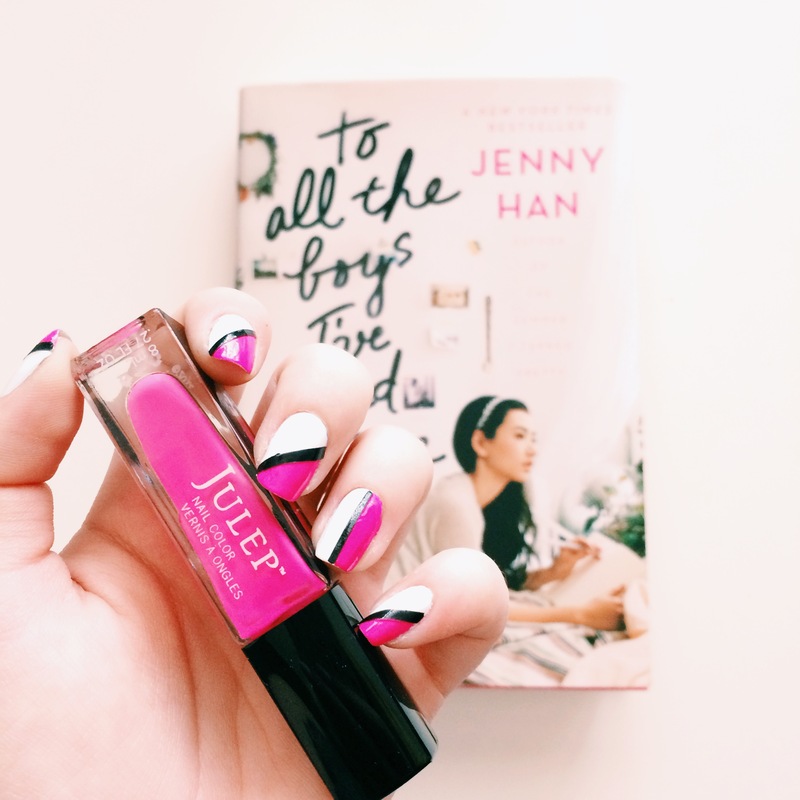 After a quick look through my polish stash, I grabbed Julep Avery, a bright, vibrant pink that matches the exact shade of the book. Paired with Essie’s Blanc, you have a winning combo! I’m going to level with you guys. Washi Tape is definitely one of my best friends! So of course I broke it out for this mani. To create the color block design, I began with my white base coat. After letting it dry, I taped out my diagonal designs. One of the best tips I’ve learned about using washi tape when painting your nails is to get rid of some of the adhesive before putting it on. I press the sticky side to my palm a couple time, and that does the trick. That way, there is less risk of it ruining the base coat. Hand lettered book titles and covers make my heart smile. Calligraphy is one of my more recent passions, and while I’m just starting out, I love to find inspiration in other hand lettered beauties. 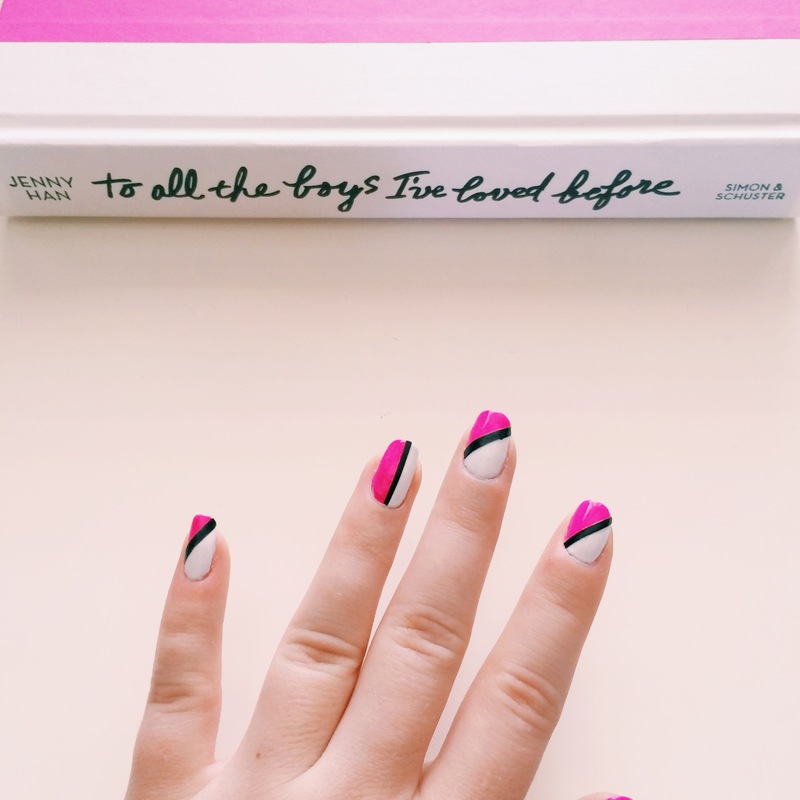 The black cursive on the spine of the book was the inspiration behind the black stripe between the pink and white color blocks. I wasn’t sure if I trusted myself to paint a perfectly straight line, so I grabbed my Washi Tape, painted it black and voila! Perfectly straight lines chalked up to another win for Washi Tape. 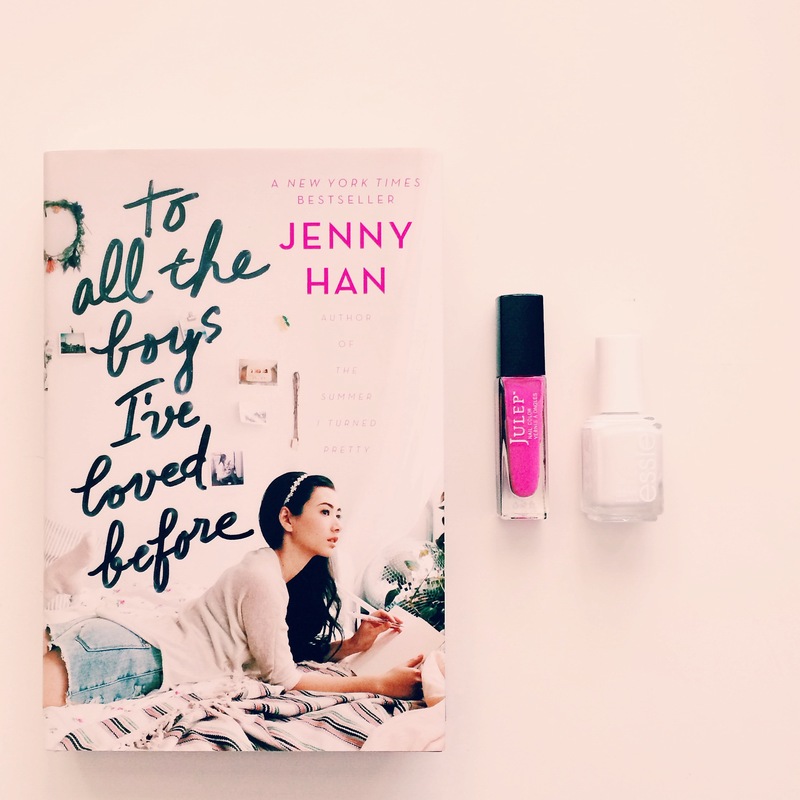 Have you read To All The Boys I’ve Loved Before? What did you think? Happy Reading! First of all, loved this book (can’t wait for the sequel). 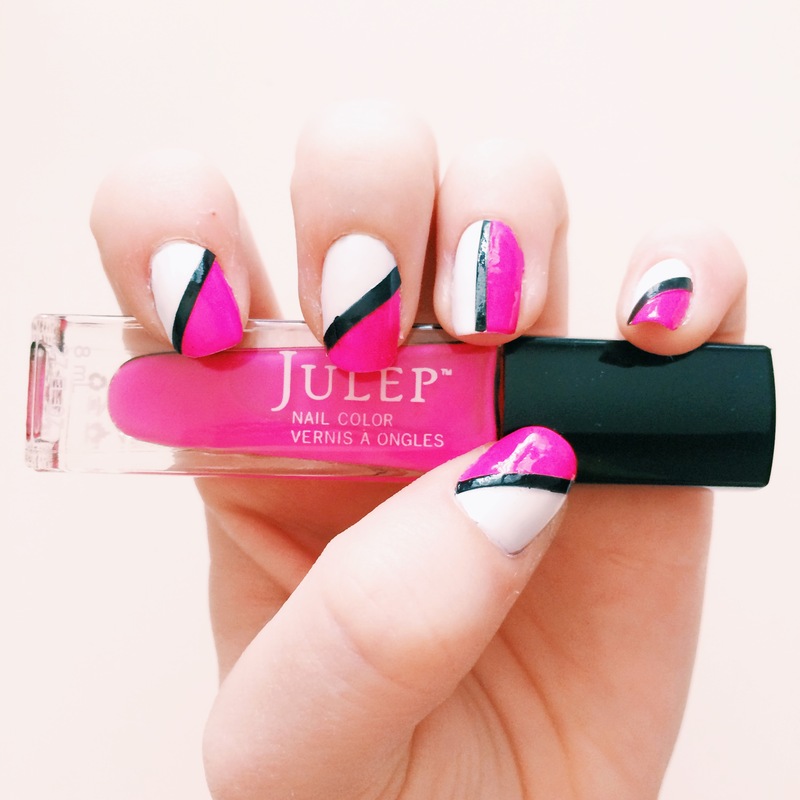 Second of all, I’m not really a nail polish person, but I LOVE your cover inspired manis. Love love love.